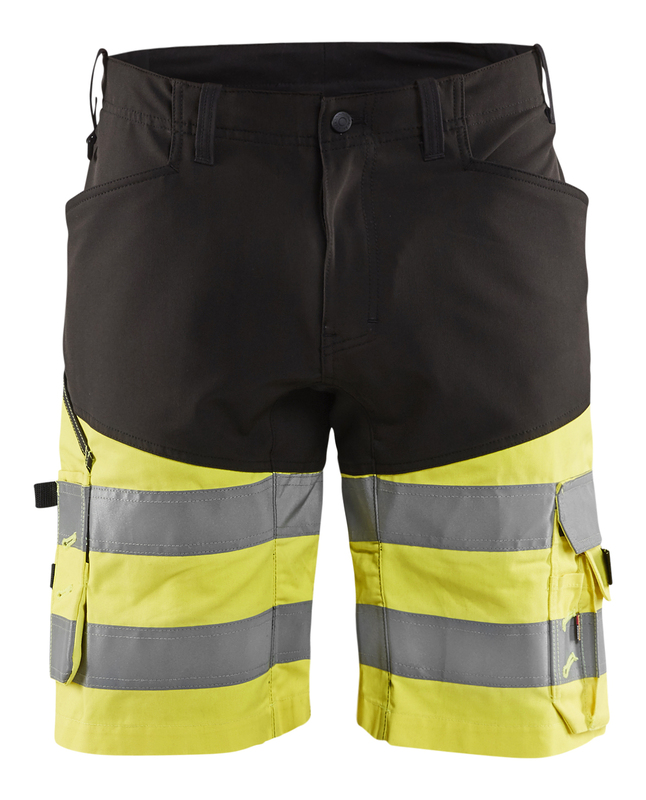 Highvis-certified class 1 shorts with stretch panels front, back, in branch and yoke. Equipped with a waistline which results in excellent comfort for the wearer. 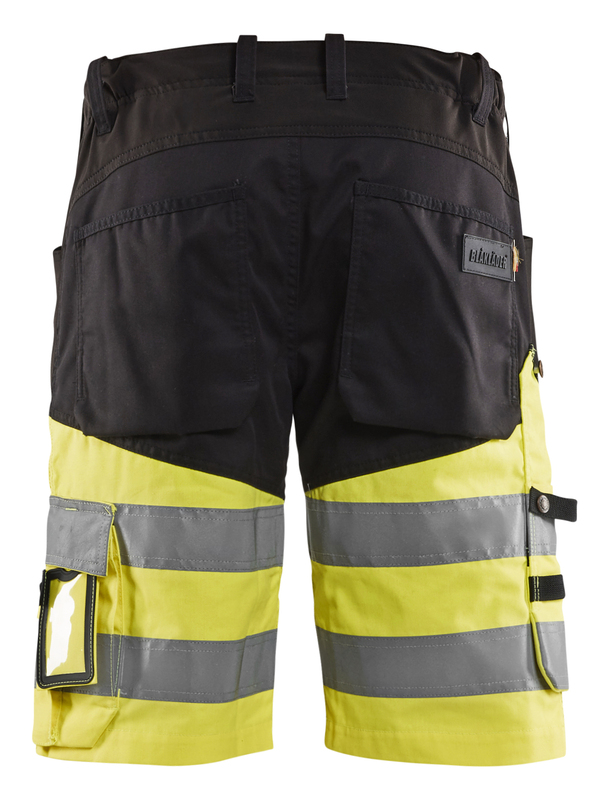 CORDURA®-reinforced waist pocket, leg pocket with mobile pocket and ID card pocket are some of the features that come with 1541. Certified according to EN ISO 20471, class 1. 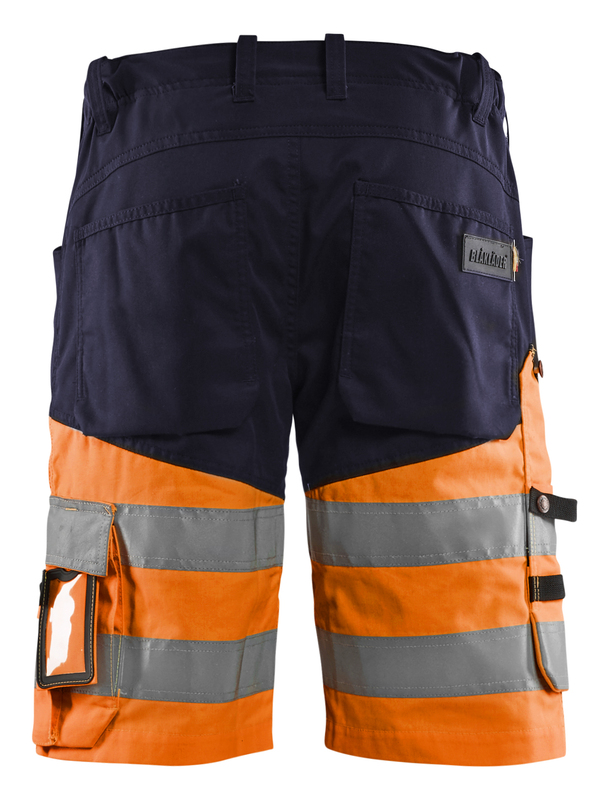 Combination Certification V.
Lighter quality that protects against dirt and splashes but, at the same time, maintains flexibility in the garment. Very suitable for industry and service. Colur and dimensionally stable. Water repellent finish. Oeko-Tex®100 certified material.